I finished up the granny square quilt top for the Believe circle of do good stitches. This photo is upside down compared to how I had the blocks laid out originally and that pastel chunk in the left column really sticks out to me in this view. I think it looks good though for not having any restrictions on the colors people used in their blocks. 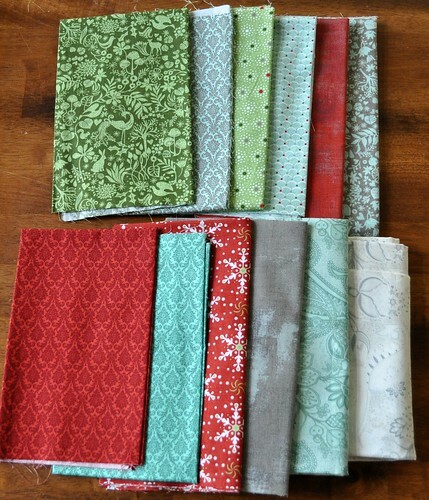 I have the fabrics gathered together for the back of this quilt, and need to straighten edges and sew them together. 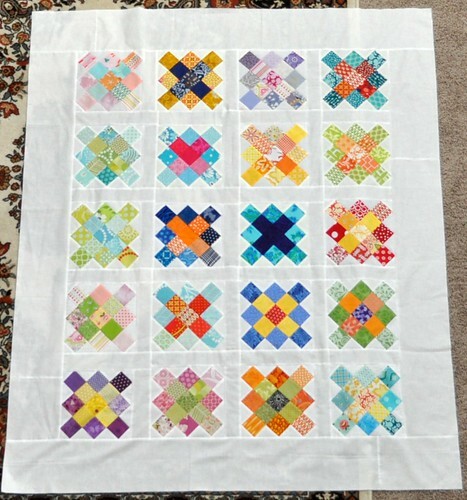 I'm planning on this being the first quilt I machine quilt after breaking my finger. I'm getting a little excited about it. My finger is much better but really stiff in that top joint. I am faithfully doing my hand exercises 4-6 times a day and not complaining about it. Also, I have plans for a new Christmas quilt. 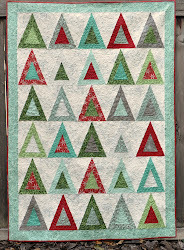 I really like the new Blitzen fabric line by basic grey/moda and came up with an idea for another Christmas quilt. I think I need a couple more darks added to the mix first though. I'm hoping to be able to have the quilt done and the pattern finished and for sale by the end of September. My boys will finally be back in school next week--it's our first year ever starting this late and I think we are ready. We've crammed a lot of summer into the last few weekends since I was down for a while in July after my accident. I'm ready to get back on a good schedule, start exercising again, and see if I can get some good chunks of sewing time in. Beautiful top and those Christmas fabrics sure look yummy! My kids have been back in school for 1.5 weeks and I'm finally starting to get into a groove. Here's to lots of sewing for you. Good luck machine quilting after your injury! I love the crisp white background next to the bright granny squares! Your Granny Square Quilt Block is AWESOME! I absolutely love it and hopefully one day will be able to create such a lovely quilt top! Thanks for sharing.... oh and those asterisk blocks are incredible!